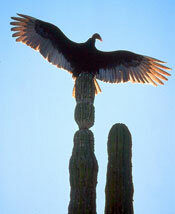 The cactus rests alongside the eagle as one of the most prominent elements of the natural world in Mexican history. Like the eagle, it also forms the centerpiece of the present-day Mexican flag, serving as yet another reference to the foundation of Tenochtitlan, the Aztec capital. 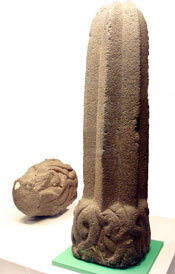 The capital was founded on the place where the cactus grew from a rock, an omen predicted by the Aztec patron god. Tenochtitlan translates to English as “place of the cactus rock.” This naming of the site demonstrates just how integral the plant was in the Aztec empire. 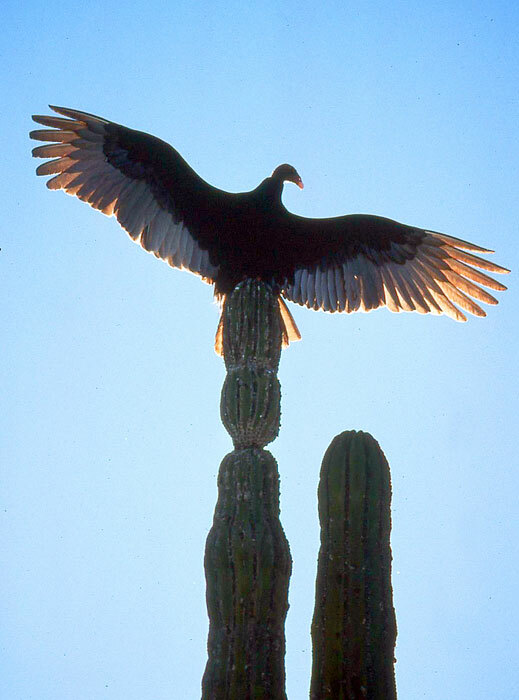 From this founding myth, the cactus became a part of the Aztec imperial emblem and the glyph of the capital. Cacti were very important in both the Basin of Mexico’s natural world, Aztec mythohistory (a combination of myth and history) and visual culture. Cacti are native to the New World, and there is archaeological evidence that they began to be domesticated over 8,000 years ago, long before Aztec times. There are over 420 varieties of cacti indigenous to the Americas, and indigenous Americans have made a practice of using them for food and medicine, a practice that continues today. Therefore, it is no surprise that they played a pivotal role in the founding of an empire: cacti are common enough to be familiar but their usefulness to humans was (and remains) dependent on human intervention. 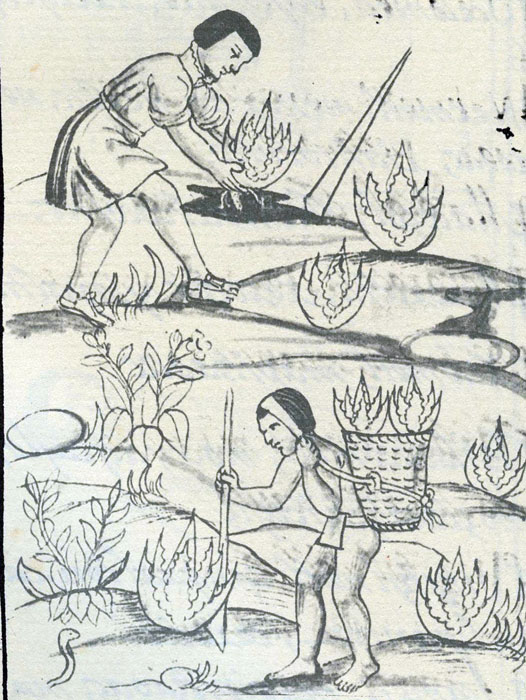 The eight paragraph of chapter six in Book 11 of The Florentine Codex (a sixteenth-century compendium of Aztec knowledge compiled by the Franciscan friar Bernardino de Sahagún) tells of the various kinds of nopal, or cacti, used in the Aztec world. 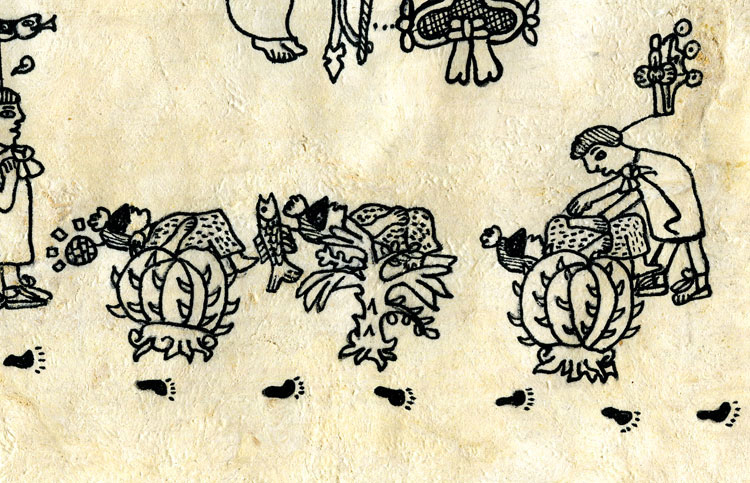 The length and scope of this discussion makes it clear that the Aztecs were literally surrounded by cacti. One way in which they were surrounded was by the use of the tree as a fence. Columnar cacti were often used to create fences around small villages and farms, a practice that continues throughout central Mexico today. In fact, some scholars argue that even sculptures of cacti might as served as boundary markers, particularly as a border between Tenochtitlan and its sister city, Tlatelolco. The practice of using columnar cacti as boundary markers still exists today in Central Mexico. There is one particularly life-like basalt (a type of very hard volcanic stone) sculpture of a Mexican pipe organ cactus that depicts both the long shaft of the columnar cactus and the messy tangle of roots that would have grown in the ground. Additionally, the underside of the sculpture is carved with the profile head of Tenoch, one of the nine leaders of the Mexica on their migration and the eventual (and perhaps) mythological founder of Tenochtitlan. The connection between cacti and the foundation of the great Aztec empire is then literally carved into stone. The cactus had cosmological, ritual, and religious functions too, as it may have served as a location for Aztec sacrifices. The Aztecs believed they could gain favor with the gods by sacrificing a victim atop a cactus, which then positions cacti as an axis mundi (center of the world, where certain figures could travel between the heavens, the earth, and the underworld.) This provides an interesting complement or contradiction to the view of cacti as boundary makers. It seems that the meaning of cacti may have depended on context and type of cactus: at times they limited the scope of the universe and/or empire, and at other times they expanded it. Your stories of our people are based on the stories and history about our people through those that came to kill us. 2) we dont believe in god or gods. Our ancestors had no use for it. 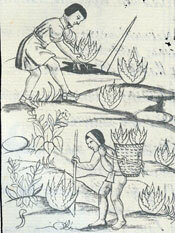 Unless you speak Nahuatl and know how to interpret unaltered codices, youre only sharing myths.